12,000 (Flying) Miles. 20 Pieces of luggage. 9 States. 2,500 (Driving) Miles. 7 Houses. 3 Flights. 2 Conferences. 2 Kids. 2 Countries. 1 Big God. 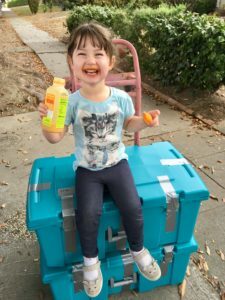 Next generation…Emma – kid missionary – ready to embark on her first missions trip – October 2018! In August 2018, we confirmed the call we felt from the Lord to move from our home, family and friends in California back across the ocean, over 10,500 thousand miles to South Africa. 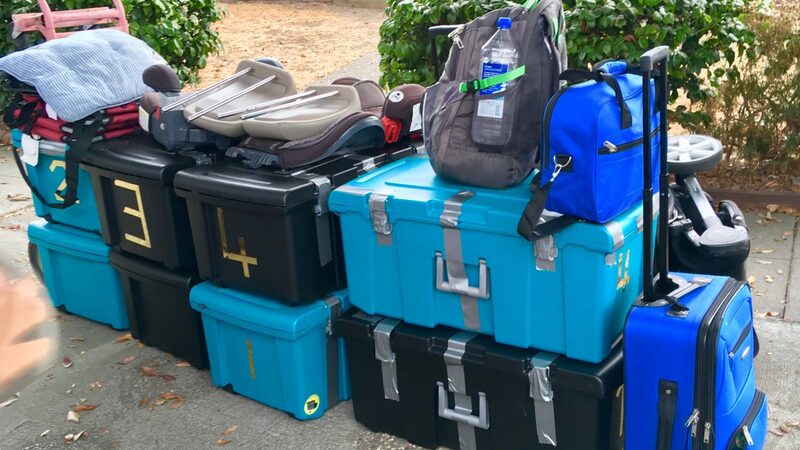 Our timeline to pack up everything we had acquired over 12 years of living in California was six weeks (the reason behind this, is another story!). God is at times a God of the “suddenlies”*; however, His wisdom and timelines are always perfect (despite my human tendencies to place Him in a box, and control my situation using ‘human logic’ and wisdom). 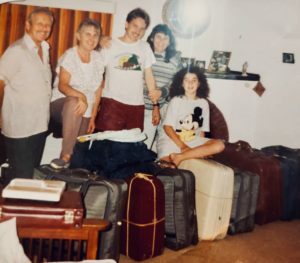 Fun side note: our move across the ocean, was amazingly similar to one my parents made as missionaries from South Africa to the Falkland Islands over 24 years ago… they taught us to live a life of faith, following God’s will wherever He may lead! Before heading to South Africa, we made a few ‘pit stops’ on the way… attending conferences and visiting family on the East Coast and Central States. 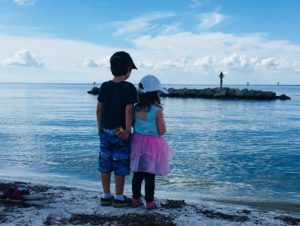 Our itinerary began with flying to Florida for a week long conference from October 21st – 28th (Ryan’s family is also located there, which was a great blessing). Read about my conference experience in the blog post “Lessons Along The Way“. Taking a moment to enjoy the beautiful Florida beaches.After Florida, we headed up to Nashville, Tennessee for another conference/orientation with A.C.T. Intl. from November 1st – 4th, 2018. We took the long way up, driving up through Georgia (via the whimsical town of Savannah), past South Carolina, stopping finally in Charlotte, North Carolina to visit the Billy Graham Library; something we felt the Lord encourage us to do. It was amazing to see all that the Lord accomplished through Billy Graham and his team; an amazing place to visit. The life and testimony of Ruth Bell Graham spoke to me the most. She ministered to many individuals, thriving on ministering to a single individual at a time (similar to my heart). She was known to never shy away from anyone no matter the degree of their problems; spending hours counseling and conversing with them. She also raised their five children as the primary parent, all of whom walk with the Lord. In being her husband’s primary confident and advisory, “she ministered to primarily one, but in doing so she ministered to the world”. ** An amazing example of a Godly women living for Jesus one day at a time. 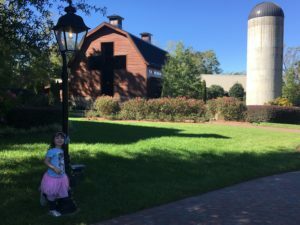 Emma – visiting Billy Graham’s Library in Charlotte, N.C.
Our time in Nashville with the A.C.T. Intl. team was very encouraging. We were blessed to be able to stay with Ryan’s brother and family who live near Nashville. Whilst, we were learning the ropes of running a new ministry, the kids were having a blast with their cousins! 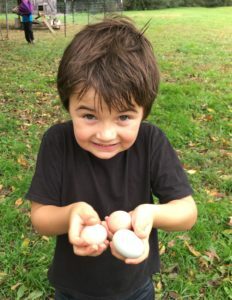 Ryan – looking for eggs at his cousin’s house in Tennessee. He really wants chickens now! We completed the final leg of the trip by driving to Kansas City to visit my mom, who lives near the International House of Prayer (IHOP). It was wonderful to be able to see her and my sister before leaving for S.A. Additionally, it was immensely encouraging to visit IHOP, receive prayer and encounter the amazing prayer ministry they have established for close to 20 years; with it’s impact reaching the entire globe. On November 12th, after being “on the road” for over three weeks, we left Kansas City in a snow blizzard and embarked on our trip to South Africa, arriving in a Summer heat wave! God was incredibly faithful throughout the entire trip, going ahead and preparing the way for us at each step. We were amazed at how well our two children handled all the new “adventures” in their stride; just another testimony to God’s faithfulness! We are excited to see where the next chapter of our adventure in Southern Africa leads us… stay tuned!